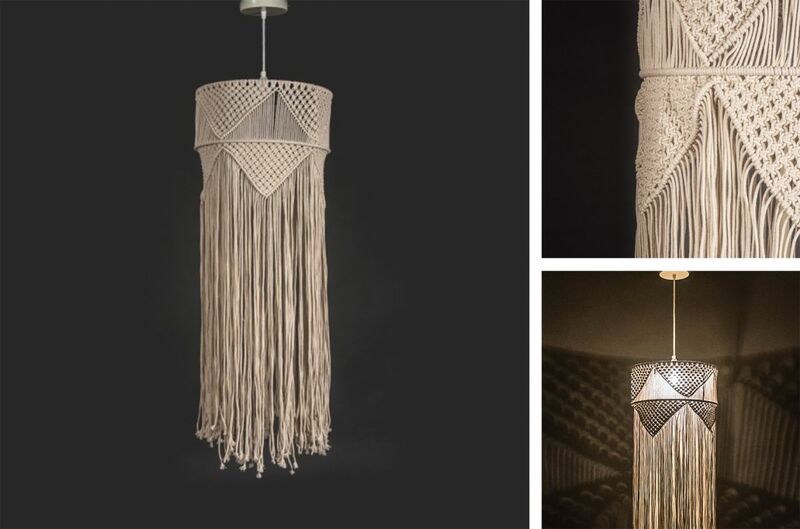 This floor lamp reinvents macramé craft and blends it with Bohemian vibes. The richly handcrafted lampshade lends a relaxing feel to spaces, reminiscent of early morning beach walks and warm indoor evenings. The white powder-coated metal bar is minimal and comes with a sheesham wooden base. 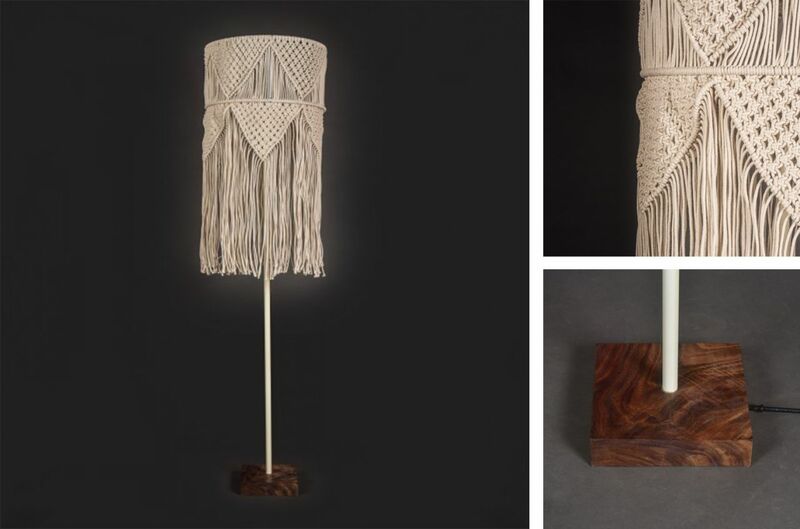 This macramé lamp, inspired by old latticed doors, is painstakingly woven by rural artisans. Its intricately woven pattern promises to add warmth and character to all kinds of indoor spaces. Hang it in a corner, centre or off-centre and see a room come alive. 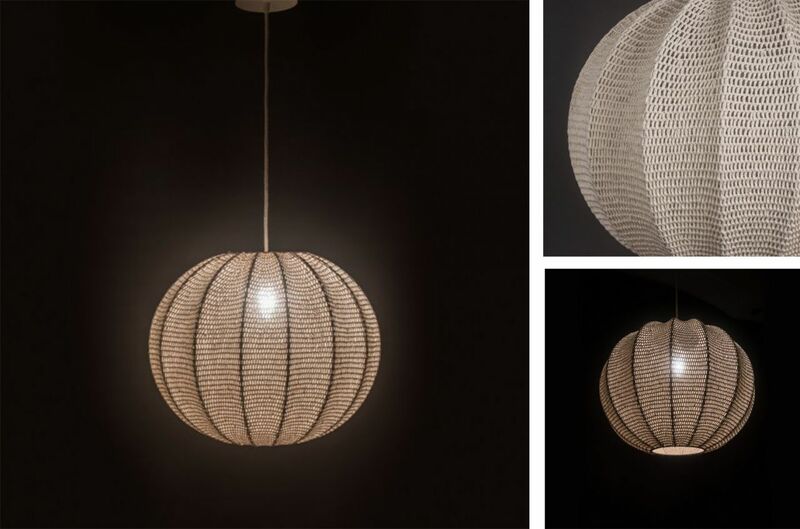 This orb crochet ceiling lamp lends a warm feel to indoor spaces. The lampshade is painstakingly handcrafted in luxurious crochet. Use a dim yellow Led bulb to add a warm glow to your interiors or a clear incandescent bulb to accentuate shadow patterns if you prefer to create drama.